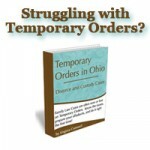 How long do you have to live in the state of Ohio and your county before you can file for divorce, annulment or legal separation? Virginia Cornwell is a Franklin County Ohio Divorce Lawyer, Columbus Ohio Divorce Lawyer, and Ohio State Bar Association Family Relations Specialist. You do NOT have to have been married in Ohio to end your marriage in Ohio. Where you file your divorce is about residency. In Ohio, pursuant to Ohio Revised Code 3105.03 states that The plaintiff in actions for divorce and annulment shall have been a resident of the state at least six months immediately before filing the complaint. Note that Ohio Revised Code 3105.03 does not mention legal separation or dissolution. DIVORCE, ANNULMENT OR LEGAL SEPARATION IN? Neither ORC 3105.03 or Civil Rule 3 place restrictions regarding the filing of dissolutions. Need some help? We would be happy to schedule a consultation with you. Please give us a call, and one of our Family Law Attorneys will meet with you to discuss your case.